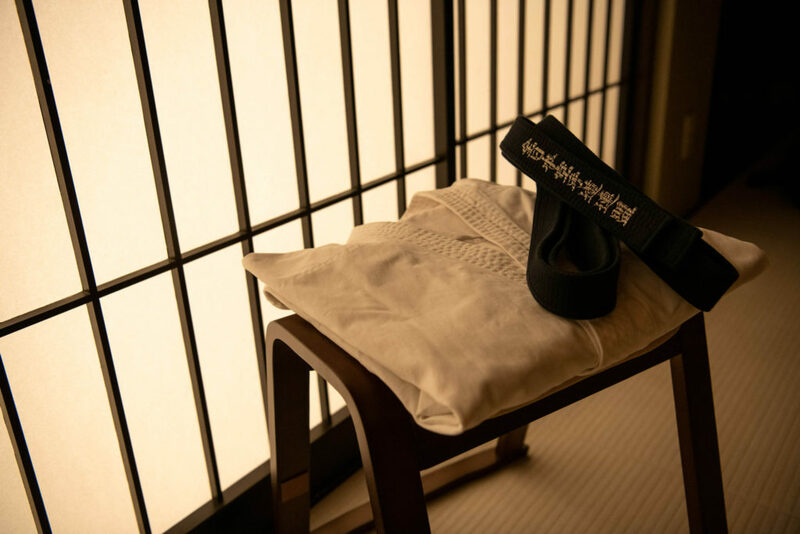 Our dojo also offers a Group Lesson such as M.I.C.E. or School Trips. Every participant will be handed their own karate uniform, and we will prepare 1 teacher for every 10 participants to keep the quality. Moreover, the price is discounted from 6000yen/person to 5500yen/person! As for the venue, we can travel to your hotel or anywhere you would like us to hold the experience, or we will find the venue for you! 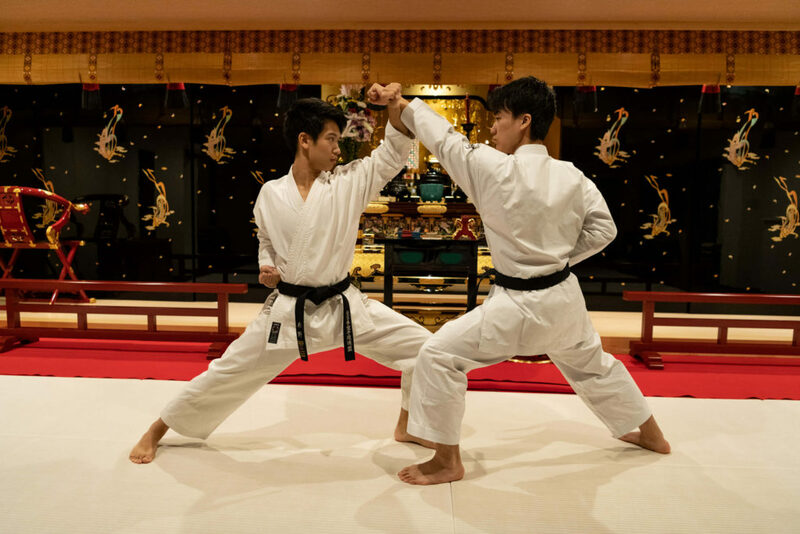 “Dogi” is unique uniform that all karate students wear. You can instantly tell a person’s skill level by the color of their belt. By wearing a dogi, you set your mind and body, ready for training. There is a saying in karate, “Karate starts and ends with a bow”. Bowing may seem like a simple gesture, but it’s actually one of the key fundamentals. Your punches and kicks will improve significantly when you learn how to “correctly” bow. Through meditation, you will be in a state of deep peace, mind calm and silent, away from the hustle and bustle of everyday life. 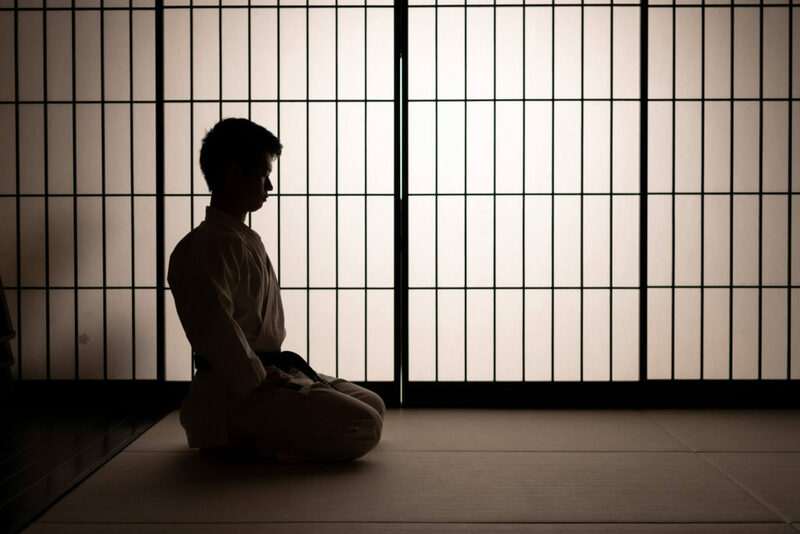 To fully enjoy this moment, we will meditate at the beginning of the class. Then we’ll practice the basic stances, punches, kicks, and defense techniques of karate. One crucial aspect of karate is that there’s no jumping. This linear aspect of the sport is what differentiates it from other Martial Arts and why speed is king. 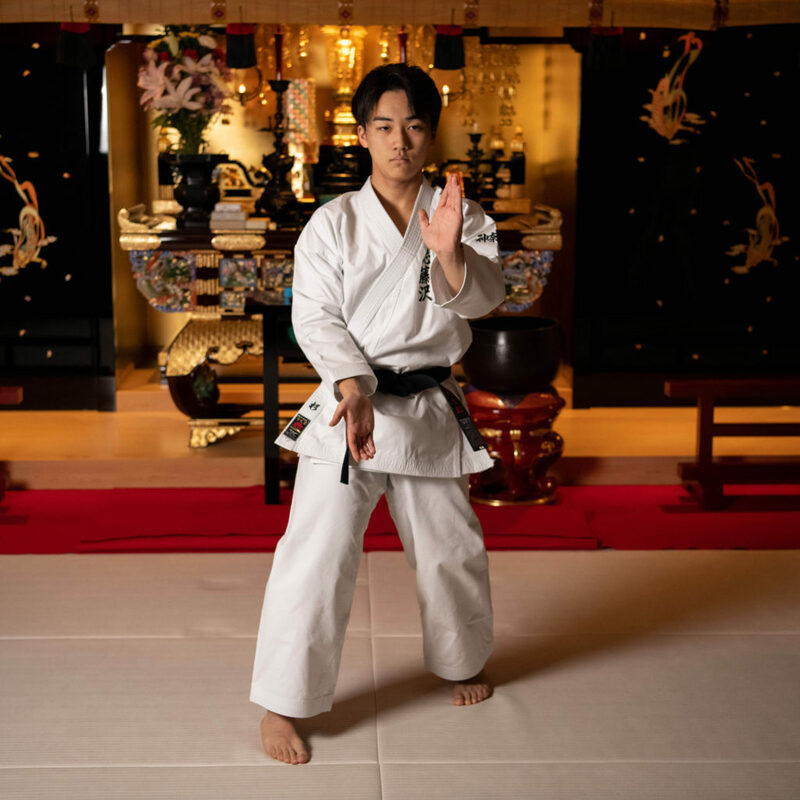 After our demonstration of “kata” or detailed patterns of movements intended as a literal depiction of a mock fight, we will learn the first kata “Heian Shodan“. You will experience how to use it for attacking and defending. 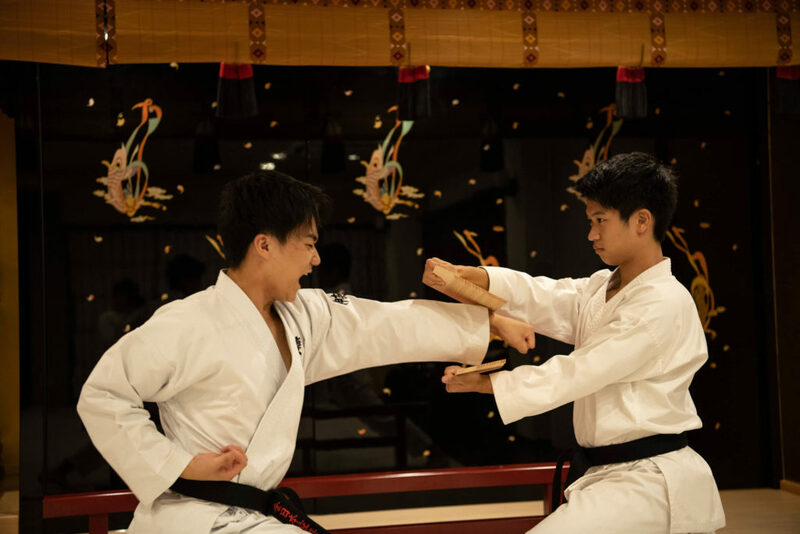 We will also take a video of your kata, just like a martial arts movie! Don’t worry! We’re not sending you home without a good old fashioned board break. Everyone will have the chance to use the punch or kick they practiced to break the board! Arrange Your Group Lesson Day!